A radio-play style reading about walking a shoreline on the longest night of the year. I like this poem. Usually, I dislike or am bored with the products of my creativity soon after completing them. Very few things become stand-alone worlds even I enter breathlessly because they speak beyond what I can intend. This poem is like that for me. It was a love poem. "I do not want to move you like the sun: but like the moon" I wrote, imagining the lover a planet I would alter but not drive. I imagine walking around a whole continent. I want to be old calling birds home. In this poem I am at an edge and avoid it I triangulate: a bird, the ocean, the moon. I still have the first draft: it's written on one of those tiny hotel note pads from the hotel I always stayed at because its cheap concrete balcony faced south. Room 314 was at the end and on the top and it overlooked dunes and then the ocean. It had a microwave and a fridge: I brought my own electric kettle, a teapot, a box of pastry, and microwave indian meals (sag paneer, channa masala) so I didn't have to engage with anyone for a few days. 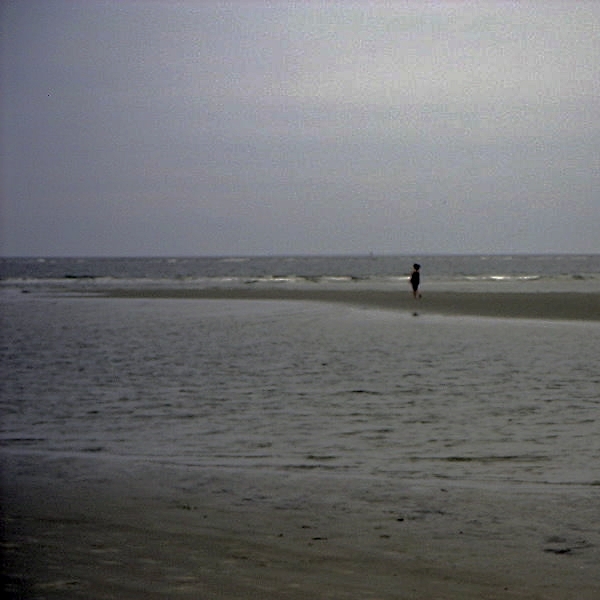 I walked the undeveloped shoreline at sunrise and sunset and sometimes at night. I went to this place regularly to return to myself. That hotel is gone now and the place in constant risk of being over-developed. I haven't been back in years. There are devices now and wi-fi that allow us to be everywhere anywhere we are: places aren't so special anymore. This poem reminds me of a deep magical engagement I used to have in the world. I lived in a NOW knotted from both my emotional/spiritual interior landscape and my sensory perception of the physical world. It was mystical and often profoundly moving but also isolated me in a halo of strangeness. It could be self-absorbed and a touch delusional. As if the world as it is intends to reflect myself back to me! Folly and hubris. the world will be waiting. but because this world is vividly, vitally enwondering (it is) and I am in and of it.